Dr. Rashid A. Buttar, DO, live to take your calls. He wrote The 9 Steps to Keep the Doctor Away: Simple Actions to Shift Your Body and Mind to Optimum Health for Greater Longevity. His websites are DrButtar.com, AdvancedMedicine.com, The9Steps.com, DrButtarTruth.org, MedicalRewind.com, FactsOnToxicity.com, TheMedicalSeries.com, TransD.com, and VanVcd.org. "Welcome to The Center for Advanced Medicine and Clinical Research in Cornelius, NC which specializes in addressing the needs of patients suffering from Chronic Disease, “Treatment Failures”, “Difficult to Diagnose” conditions, Cancer, Autism, Cardiovascular Disease, Neurodegenerative Disease, Environmental Toxicity, Heavy Metal Toxicity, Chemical Toxicity and Metabolism Disorders. We also have a special interest in Preventive Medicine, Longevity Medicine and Performance Enhancement. We offer 59 different IV Therapies oriented towards the principles of detoxification and immune modulation including heavy metal chelation, oxidative therapies, nutritional IVs, and many other treatments that detoxify and enhance the immune system. Our treatments are so effective that even the North Carolina Medical Board is trying to suppress the truth. For more information about that, visit DrButtarTruth.ORG." Dr. Buttar is on Facebook at facebook.com/DrRashidButtar, presently liked by 23,200 people. 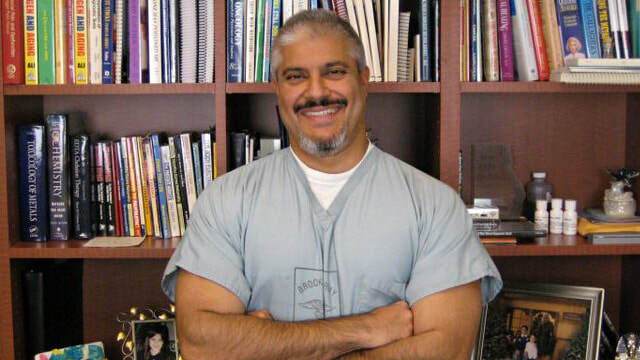 Every Monday Dr. Buttar is featured on the Robert Scott Bell Show (RobertScottBell.com) that can be heard Monday through Friday, 7:00 to 9:00 PM EST and Sunday 1:00 to 3:00 PM EST at http://www.gcnlive.com/JW1D/index.php/onair and via live video stream at http://www.youtube.com/channel/UC4swWOmkVf8_xiklSkge_4g that allows you to hear valuable conversation instead of commercials and offers a chat room for you to join.